Federal University of Agriculture, Makurdi, FUAM Releases List of Candidates Offered Provisional Admission, Payment of Acceptance Fees Commences for 2018/2019 Academic Session. 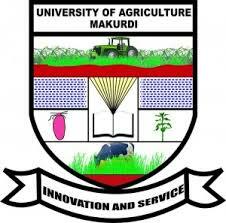 The Federal University of Agriculture, Makurdi has released the admission list of candidates offered admission into the various degree programmes for 2018/2019 academic session. Kindly log on to FUAM admission status checking portal via http://entry.uam.edu.ng/checkadmission/. All admitted candidates are to proceed to accept their offer on admission on the JAMB CAPS Portal and Proceed to Print their JAMB Admission Letter Online.